WE GOT YOU... We’ve created our packages to help curate a smooth and seamless experience at all levels of planning. Our key focus is to guide you in creating a wedding day reflective of your style and vibe. 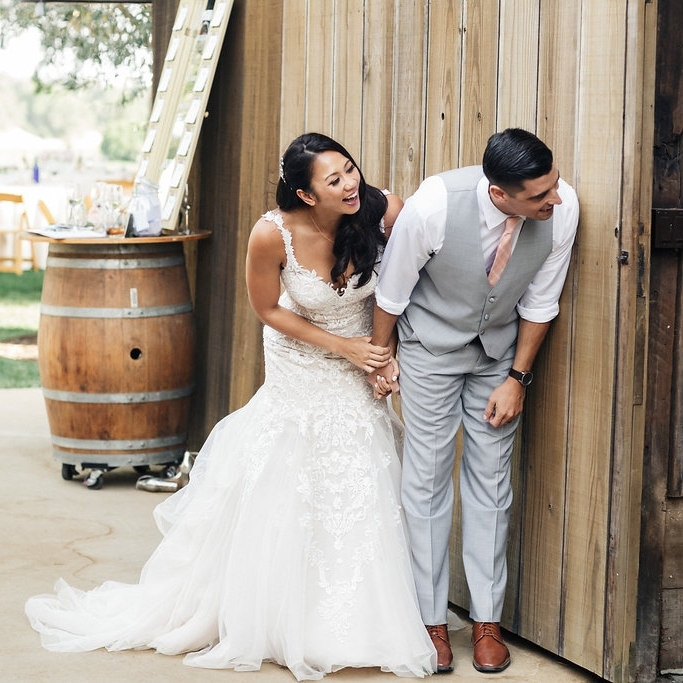 If you’re an organized couple who has the time to research, book, and manage your vendor dream team until it’s time for the hand off! We’ll use our knowledge to guide you through the final details to ensure a stress free day-of. The highlights:: Management + logistical assistance in the final 60 days | customized time-line execution | creation of scaled floor-plan layout | rehearsal coordination | full day-of wedding coordination | rental management | and much more! CLICK HERE FOR YOUR CUSTOM PROPOSAL! You want expert guidance throughout the planning process but want to manage vendor research + booking on your own! We’ll guide you from day one with management + logistical details, and provide handy monthly checklists to make sure you stay on track. The highlights: Management + logistical assistance from date of hire | vendor referrals | regular client reviews + email support | monthly checklists and payment reminders | customized time-line execution | creation of scaled floor-plan layout | rehearsal coordination | full day-of wedding coordination | rental management | and much more! You simply have no time because of your busy work life/schedule! This package was created to take the legwork out of the planning process. Our Co-Planning approach keeps you involved while saving you hundreds of hours doing tedious tasks you simply don’t have the time for. Our knowledge and expertise will guide you throughout the planning process and inform your design decisions. The highlights:: Assisting in executing clients vision of wedding day design within most elements | budget determination | vendor: research, referral, management | contract: compilation, guidance, review | logistical and rental management | monthly checklists and payment reminders | customized time-line execution | creation of scaled floor-plan layout | rehearsal coordination| full day-of wedding coordination | and much more! You’re busy, you need style and design guidance, along with expert help throughout the planning process to create the fun, beautiful day you’re envisioning. We’ll walk you through each and every step of planning to guarantee a seamless wedding planning experience. The highlights:: Venue research + selection | executing clients vision of wedding day design within all elements | budget creation + management | website creation + design + management | vendor: research, referral, management | contract: compilation, guidance, review | logistical and rental management | monthly checklists and payment reminders | rsvp management | customized time-line execution | creation of scaled floor-plan layout | rehearsal coordination| full day-of wedding coordination | and much more! READY TO GET THE PLANNING STARTED? Fill out our contact form HERE and I’ll reach out within 48 business hours to schedule a quick 30 minute review of your wedding day details! Within 24 hours I’ll send over a quote customized to your specific needs. Once you have the opportunity to review and choose the package that fits your wants perfectly, we’ll process the contract and deposit and be onto the the fun stuff! To book your complimentary consultation, simply click below!